Your reservation of Chauffeur Driven Car Hire Services in Belfast can be made just in a few steps! MyChauffeurDrive proposes only cheap rental costs for your inquires. - chauffeur cars for long or short transfers. You can find in the Fleet we propose business class as well as economy cars with drivers. 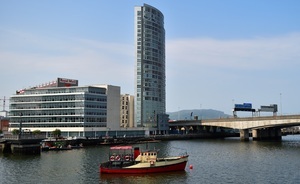 Drivers are well familiar with Belfast and have all necessary licenses. Order with us your next journey around Northern Ireland!